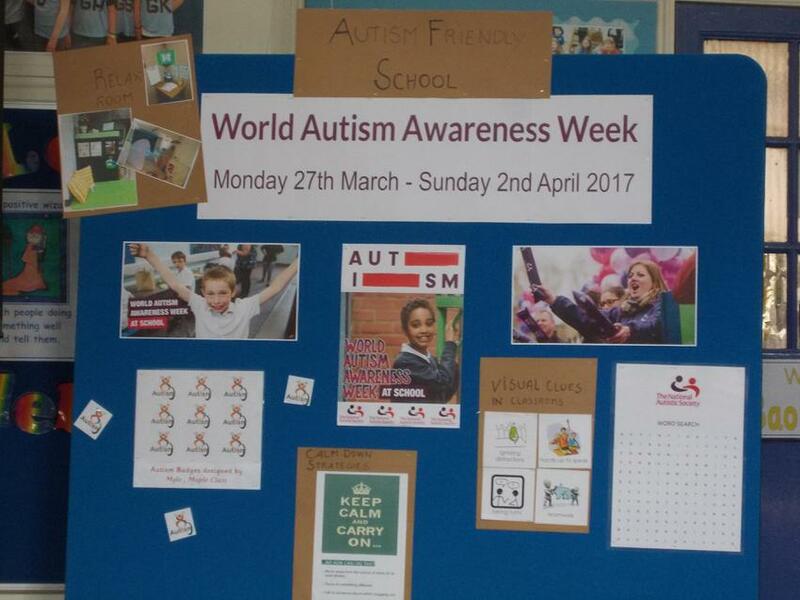 Sefton Park children concluded Autism Awareness Week, 27 to 31 March 2017, with an assembly for all the Junior school children, led by our Year 6's. The World Autism Awareness Week, led by the National Autism Society, aims to raise awareness of autism and help people understand the condition. Autism is a lifelong, developmental disability that affects how a person communicates with and relates to other people, and how they experience the world around them. 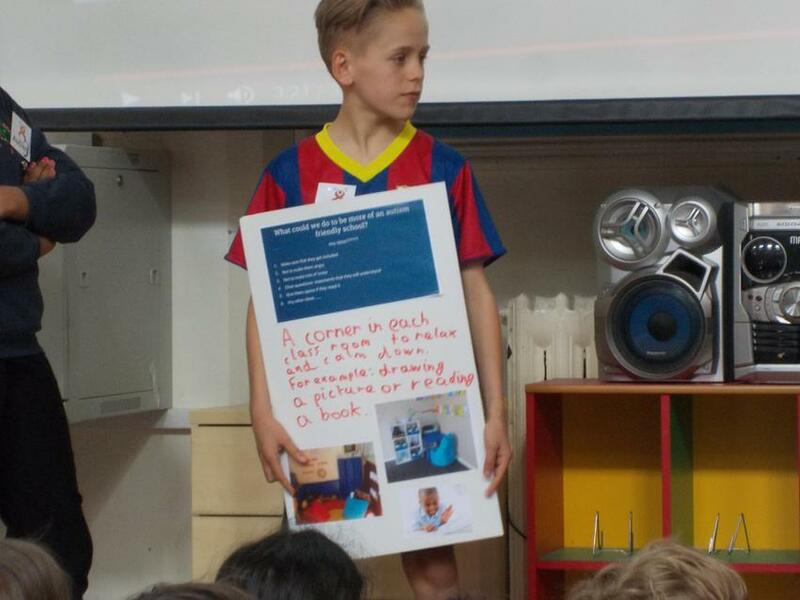 Autism Awareness has taken on a higher profile at Sefton Park this year, with discussions, leaflets, posters and phrases being shared in pupil parliament sessions over the last fortnight. 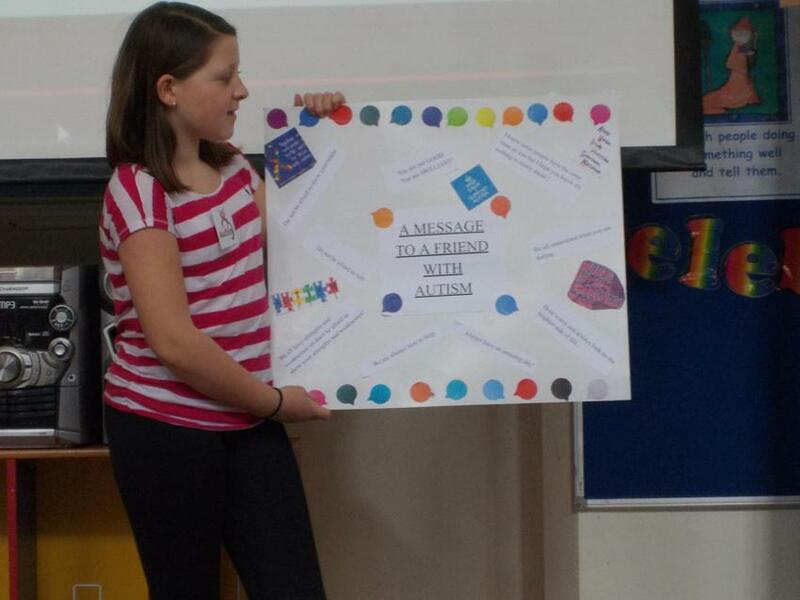 One of our Year 6 children with autism designed and made badges for all Junior children, as well as a logo to represent the awareness week. 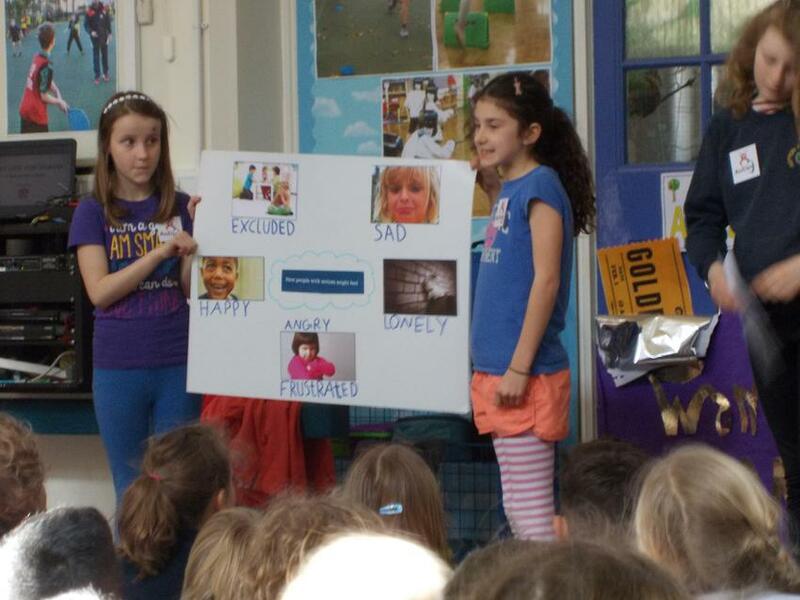 In assembly, the Year 6 children presented some work from their pupil parliament groups; they watched a short film highlighting themes around autism, and have created a display which is in the Junior Hall. 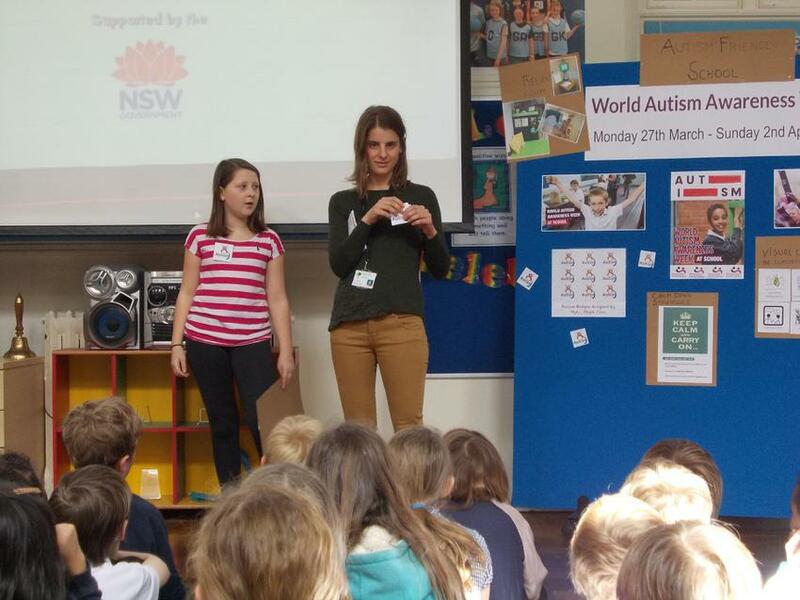 Giulia, one of our specialist Teaching Assistants, led many of the sessions and was thrilled by the thoughtfulness and friendly response of all children in considering autism and how to support and respect all people.